Google Adsense is one of the popular ad serving site owned by Search giant. Most of the bloggers and webmasters earning decent money from Google Adsense depends their visitors and clicks. There is a option on Google Adsense you can download your all time earning reports in .csv file format. Here the simple tutorial to download your all time earning reports from Google adsense. 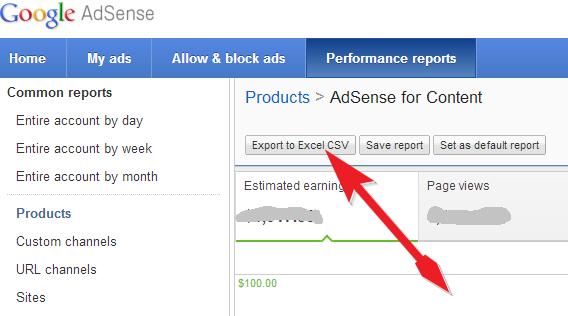 Your All time earning report page shows, then click Export to Excel CSV button. After click on the Export to Excel CSV button your all time earning report will be downloaded.